DHL IT Services Cyberjaya is one of the most comprehensive IT hubs in the Asia Pacific. A pioneer member of Malaysia’s Multimedia Super Corridor’s (MSC) International Advisory Panel (IAP), it employs more than 1100 staff from 29 countries and undertakes the design, build and management of nearly 1,200 mission critical applications. 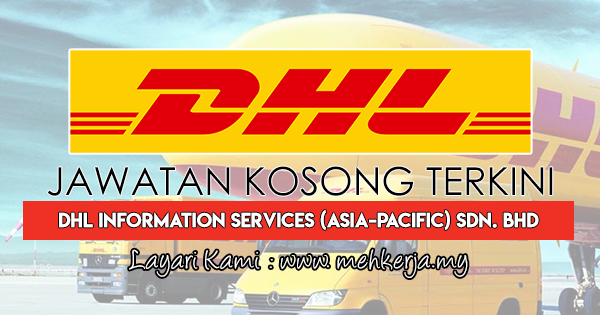 0 Response to "Jawatan Kosong Terkini di DHL Information Services (Asia-Pacific) Sdn. Bhd - 19 Sept 2018"